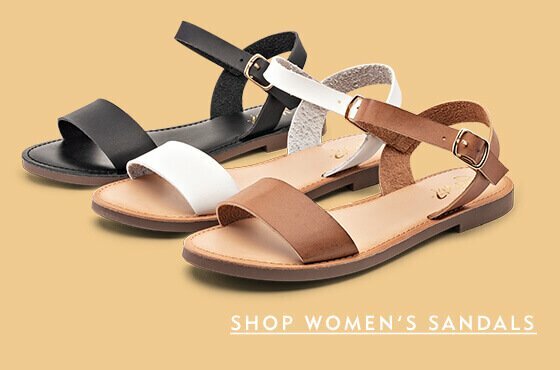 Buy one pair of select women’s sandals, get 2nd pair of equal or lesser value free. Select styles only. Valid In-Store and Online. Cannot be combined with Buy One Get One Half Off, additional discounts, promotions or coupons or used on prior purchases, refunds or exchanges. Buy One Get One Free styles excluded from all other online promotions. Excludes Nike, Birkenstock and Rainbow sandals. Discount applies automatically at checkout. Offers are subject to change without notice. Valid 03/27/2019 – 04/02/2019, 11:59 PM EST.